Texting My Pancreas: Kick Me, Please. Perhaps it's just me, but there's something about knowing I'm pregnant that makes me perpetually scared that for any given reason, I suddenly won't be. Why do I feel that way? Perhaps it's because I know that parts of my body (my pancreas; my thyroid) are already faulty and I wonder, in an unjustified way, if that condition is shared elsewhere. Perhaps it's because it took longer than we had hoped to become pregnant, and so the whole thing feels a little fragile. Perhaps it's because I know so many who have had miscarriages, and I wonder if that will be my experience, too. It's part of why I was so strict about what I ate, drank, and did for the first six weeks after I knew I was pregnant - lots of restrictions, and I stuck to them faithfully. But right around the beginning of week 15, I felt something that I regard as welcome relief from my worry. I felt a kick. Well, maybe not a kick so much as a nudge. A drumming. The feeling of popcorn popping in my stomach. (The first time I read that description on a pregnancy site, I thought, "What? That's a horrible description. I can't even imagine what that would feel like. How will I know?" Well, Whitney, you just will.) Whatever it was, it was movement, and proof that Baby V is alive and well (and perhaps Riverdancing) in there. I had my 18-week check-up yesterday, and while we skipped the ultrasound, we did hear a heartbeat. In the past two appointments we had no trouble locating it - a few swipes across my belly, and there it was, loud and clear. This time, however, it seemed that the kid had thrown the placenta between it and us, so much of what we heard for the first few minutes was my heartbeat, not the baby's. I tried to tell myself that it can't be an easy find each time, and I reminded myself of the movement I'd felt. I held my breath, and desperately wished and wished. And, minutes later, the technician and I both grinned and sighed simultaneously as we finally heard it. That sound is something I long to hear more often than every four weeks, but in between, I'll settle for getting kicked. And the worry? It's fading with each bit of weight gained, each week elapsed, and each nudge felt. Now that I have a constant reminder that things are okay, I can start to release the worry that they're not. 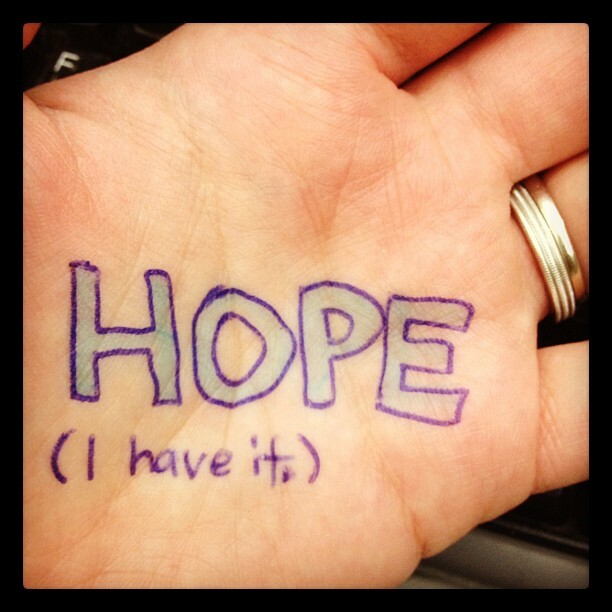 Hang on to that hope, my friend. You are a wonderful mom already. It's nice to meet you, Jessica! This post brought tears to my eyes. I'm so happy for you! Like Kerri said, you're already a great mom. 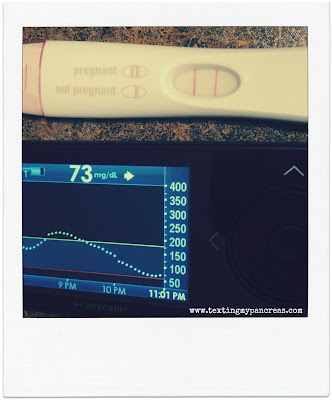 It is HARD to feel secure in pregnancy until that little kiddo starts moving - until then, there's too much time between appointments and heartbeats for that doubt to kick in. And it's justifiable doubt! Our bodies have failed us before, you know? I'm happy for your popcorn - it's a HUGE step toward feeling like everything's really real. I love this. Your hope gives me hope. I am only in the planning stages and worrying frantically. It's nerve-wracking business—rightfully so! Hang in there. You are doing a great job. I know I don't have d, but I struggled with this each time I got pregnant. My mom had several miscarriages and I was convinced I would follow suit. I was scared out of my mind with Lucas because I bled until 16 weeks. Praying for you and this little one. All my kiddos loved to move when they were inside, so once they started, I never had to worry again. I hope your little bean loves to dance just as much! I just found your blog this past weekend and have to admit, I'm kinda obsessed. I've been so encouraged because when I read your thoughts it's like I'm reading my own and I don't feel so alone in this. I've been T1 for 4 1/2 years, disgnosed at almost 26 years old. 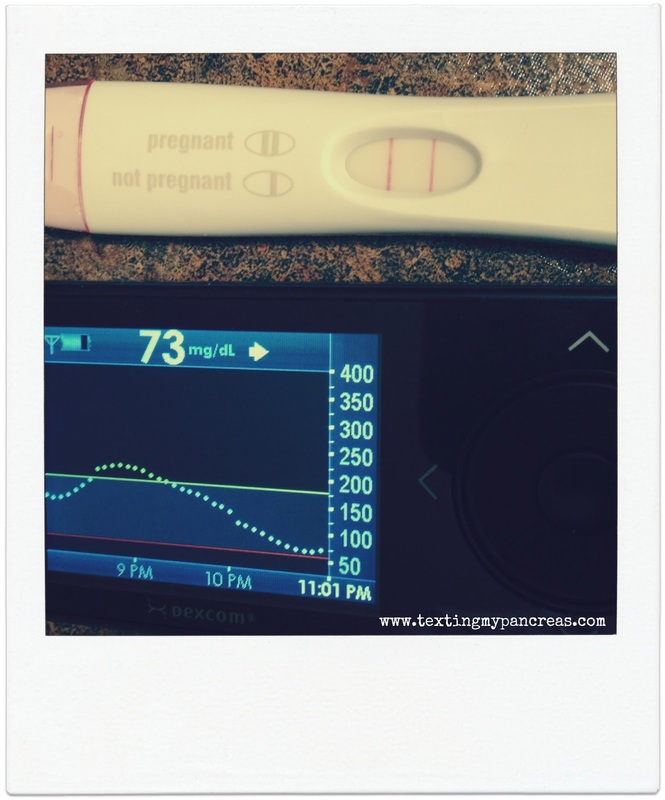 I was just diagnosed in January with a hypothyroid and now my husband and I are in the beginning stages of preparing me to try to get pregnant. I'm terrified even though it's what I've always wanted, I'm so scared. Hi Jessi! I'm glad you found me. "Terrified" sounds about right - but you just do the best you can with what you have. The fact that you're planning and thinking ahead already gives you an advantage over many! I think I leave the same comment every time here, but... so happy, happy for you. This is great. Totally understand! I am 6 weeks now and it seems like time is moving SOOOOOOOO slow! I am ready for 2nd trimester! I now freak out with every blood sugar; I have turned into a crazy woman I feel bad for my husband.